Johannes V. Jensen, from the novel Gudrun, 1936. The photo above is Knippels Bridge these days. Still a steady stream of cyclists each day. 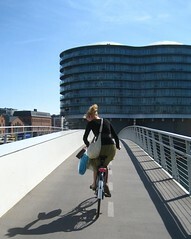 Below is a great video showing bike rush hour in Copenhagen on said bridge. And this is the newest car-free bridge over the harbour, one side for pedestrians [not visible, it's on the other side of the white barrier] and the other for bikes. Today i have seen a girl cycle chic, but she runs so fast and i couldnt follow her! !Maybe next time!! muy bueno, raquel! keep trying! That was a great video. Gives the rest of us a great perspective on a Copenhagens comute. What was that thing in the bus lane at the end? thanks, doug. the 'thing' at the end is a classic Danish sausage stand. Danish fast food. They roll out in the mornings to take their places on our squares and street corners. The funny thing is that they use the streets to get around and there is often a long queue of cars behind them crawling along. Nobody, however, honks impatiently. The Danes know the sausages must get to where they are going. You write "Still a steady stream of cyclists each day." Wouldn't it be more accurate to say "Again a steady stream of cyclists each day."? According to "Færdselstællinger og andre trafikundersøgelser 2001 - 2005" bicycling in Copenhagen fell untill about 1980 and then started to rise again due to new political priorities. 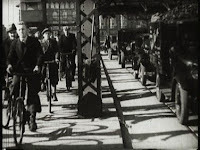 Cars liberated people in the post-war period but later problems of noise, pollution, congestion and health made people rediscover bicycles. I chafe at the idea that bicycling is somehow inevitable, even in Copenhagen. It's not inevitable, it's the result of getting political priorities straight. It's about getting with the times and taking a sober look at what car traffic does to people and cities. I'm also a little sad about the nasty things said here about bikeportland.org last week. The people at bikeportland are fighting to change priorities in Portland, which can be a nasty business. 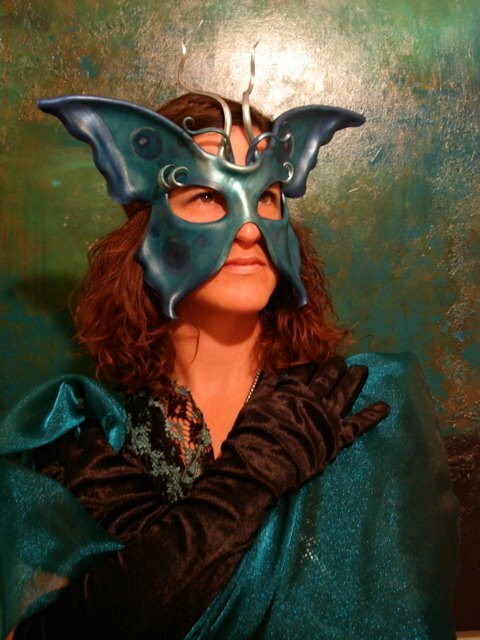 Those of you who think the bikeportland.org people are unpleasant, consider the people they are lobbying against. They are all that and worse -- they want Portlanders to put up with more noise, pollution, congestion, danger and ill health. That video of the bridge is amazing! Ironically, it reminds me of Critical Mass in San Francisco! I only wish the every day commute looked like this! We can only hope that one day it will be so! Say Zak, I'd enjoy seeing a photo of "the business end" of one of those Weenie Wagons. That top-view photo doesn't really show much. We don't have any street vendors here in the Quad Cities Illinois/Iowa. I'm sure mr. Zakkalicius has a more artistic rendition of the classical pølsevogn but here is a video that depicts a day in a life of a pølsemand (sausage vendor, litteraly "sausage man"). Hey 11:13, thanks for the vid pointer. Looks like a pretty busy day, lotta happy customers. I can't compete with that lovely little film about the Danish pølsevogn. :-) Thanks for the link. I have a number of photos over at Flickr featuring the national fast food distribution wagons if you click here. Erik: Whether or not urban cycling is inevitable is a question of belief. It's evitable here in Copenhagen because we have developed the infrastructure and because we never really stopped cycling. In other countries like the UK and the US I believe it is inevitable because there are so many people who are speaking out in favour of it. People are forcing urban planners to plan accordingly. That's why there is hope and inevitability in play. I don't agree that 'nasty' things were said about BikePortland. People voiced their honest opinions and perceptions in sober, civilised tones. And it certainly doesn't help anybody's cause to insinuate that the "people they are up against" are worse. This "them and us" mentality is destructive, not constructive. Some of my readers don't feel that they have anything to common with the other cyclists mentioned. That is all they expressed. And there are people out there who merely wish to ride their bikes without having to become members of a closed sub-culture group. So bike lanes don't work, do they? Some interesting comments there, along the lines of "they're not wearing proper cycling clothing" (such as a helmet and hi-viz jacket), and "they don't see themsleves as part of the traffic, more a kind of 'wheeled pedestrian'" (page 4). thanks for that. interesting, and strange, comments!